no one wins? 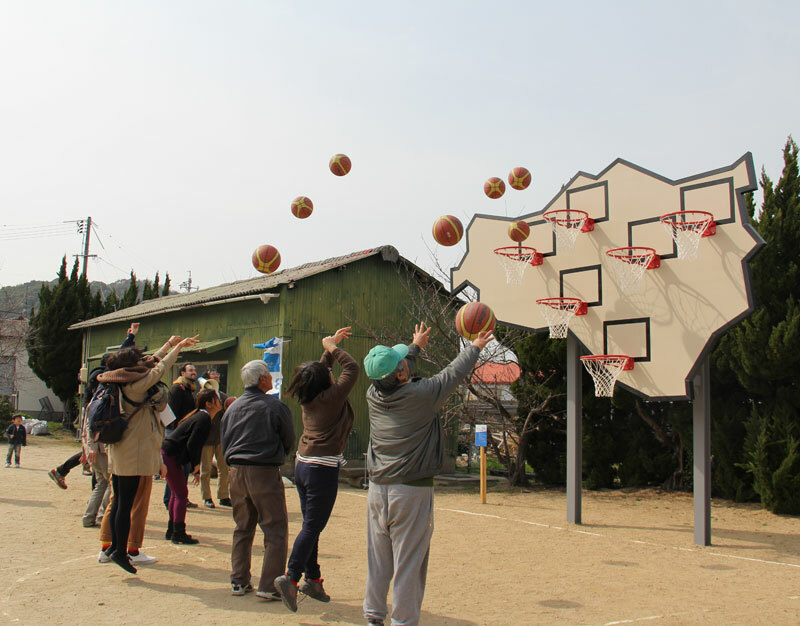 basketball from every height | Abler. 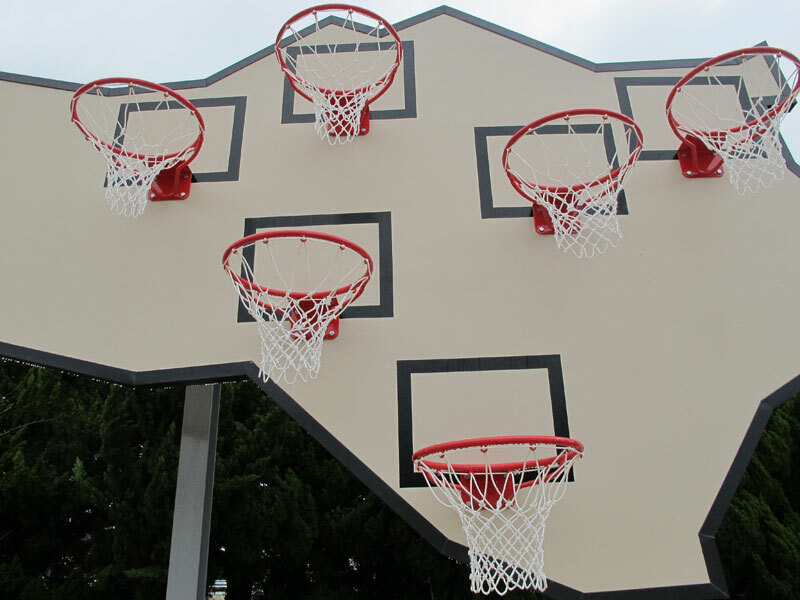 Artist team Llobet-Pons Jasmina Llobet and Luis Fernandez Pons created this installation they call No One Wins: a basketball board with hoops at multiple heights. This is one of those charmingly accidental universal designs—suited for players with all kinds of bodies and skill sets. 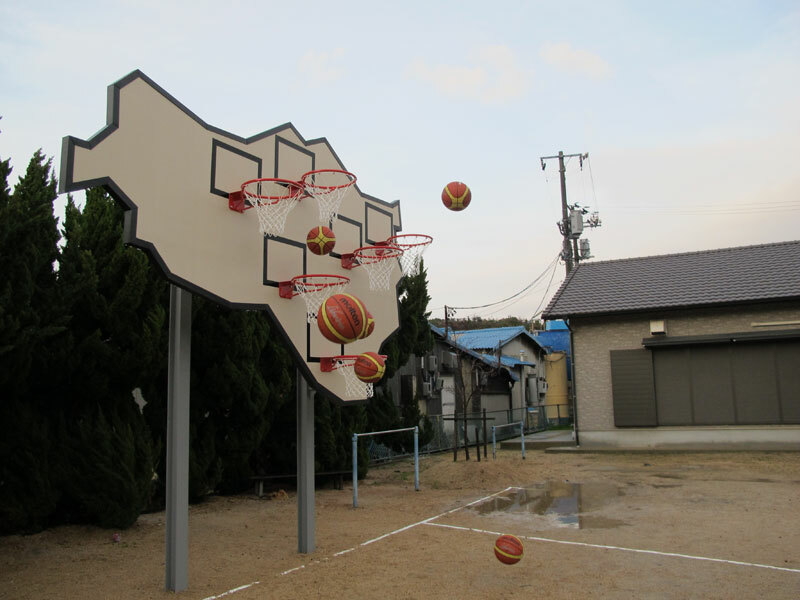 It’s permanently installed in Teshima, Japan. Via designboom and on the Llobet-Pons web site.